NOAA Scientist Dan Wolfe releases a weather balloon carrying instruments that monitor the atmosphere as part of a NOAA research effort to discover how El Nino affects weather. Researchers launched weather balloons Tuesday off the coast of Hawaii in an unprecedented effort to discover how El Nino affects weather forecasts thousands of miles away. Craig McLean, assistant NOAA administrator for NOAA Research, explained how the project hopes to collect data from the Pacific Ocean using a research plane, a NOAA ship and drones. "This research will help us understand the first link in the chain that produces, among many other weather impacts, extreme precipitation events on the West Coast," McLean said in a prepared news release. Eight times a day, weather balloons will be launched from the deck of the Ronald H. Brown as it sails from Honolulu to San Diego. It’s expected to arrive here on March 18. 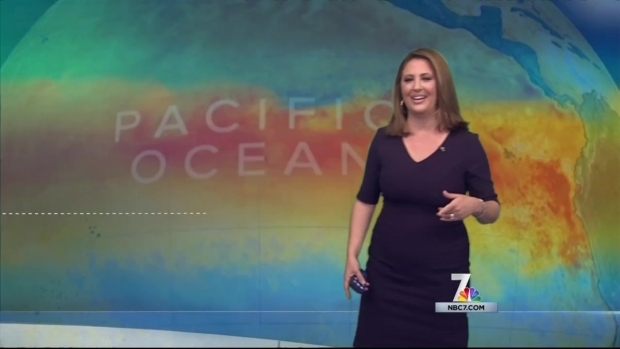 NBC 7 meteorologist Jodi Kodesh explains El Nino conditions over the past few years, including conditions amid California’s historic drought. Currently, a strong El Nino is present, and it is strengthening. So, what brings the rain to Southern California during this weather phase? 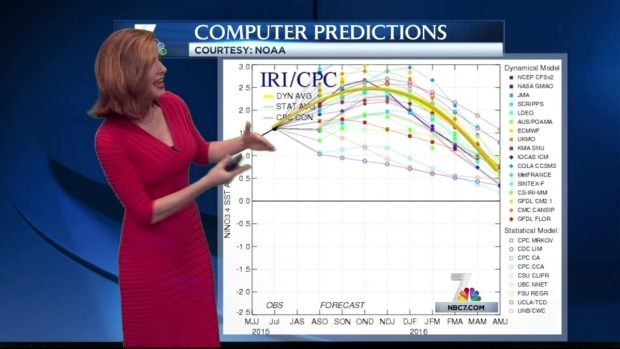 Kodesh shares details in part 1 of our Forecasting El Nino special. The data collected by weather balloons like the ones launched Tuesday will be pulled along with data from instruments dropped from aircraft, researchers said. All of that data will hopefully improve weather models used by forecasters with the National Weather Service. "This has never been done with a major El Nino," said Randall Dole, a senior scientist with NOAA's Earth System Research Lab in Boulder, Colorado.